Having one arm has posed a lot of physical challenges my whole life. 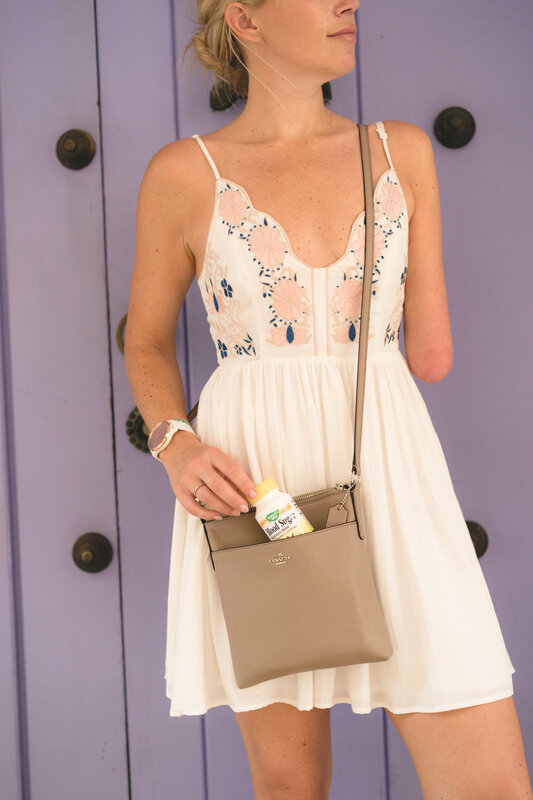 Though it wasn’t until I reached my mid-twenties that all the years of adventure, play, and just the day-to-day use of my one arm started to cause a lot of discomfort in my joints. What started as an occasional ache in my elbow and wrist after a Soul Cycle ride quickly turned into chronic pain from tasks as mundane as carrying the groceries inside. I may be living with only one arm, but it’s been doing the work of two for a very long time. In other words, my elbow is practically 62 years old living in a 31 year-old’s body. Ouch. As an alternative to over-the-counter pain reducers, I decided to seek out herbal supplements to help maintain and support my overall health. I first discovered the benefits of turmeric for joint support and relief of occasional pain from overuse or over exercise about 3 years ago. After a little more Internet digging and I discovered an herbal supplement called TurmeRich™ Joint made by Nature’s Way. TurmeRich™ Joint aids in joint and mobility support. * So I decided to give it a go and immediately worked it into my daily regimen. It’s been about 8 weeks since I started taking TurmeRich™ and what I love most about it is that I feel great knowing I’m contributing to the maintenance and support of my own health and wellness. It’s easy to take, it’s gluten free, it’s vegetarian (which means the capsules won’t upset my stomach) and I can take it with me when I travel! 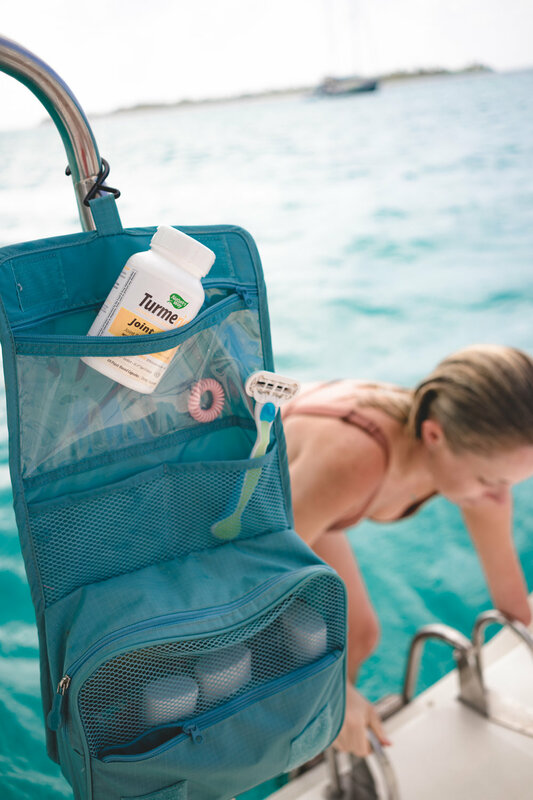 I recently took TurmeRich™ Joint on my two-week trip through Central America and stayed committed to my daily routine – even when it took a nautical twist. I’ve signed up for a life of adventure and travel so it’s more important than ever that I honor my health and wellness routines. If it means showering in the sea, or remembering to take vitamins on-the-go, I have to stay committed. Sticking to routines isn’t my only consideration when traveling though, FOOD is. Traveling isn’t so kind to my stomach… or my metabolism, amiright ladies!? I know better than anyone the consequences of letting your wellness fall by the wayside in the pursuit of the best local cuisines. The gelato, the papas fritas, the AREPAS!!! Ahhh it’s all so good! What isn’t good is the sugar crash or the sluggish lethargy that rides shotgun. *These statements have not been evaluated by the FDA. They are not intended to treat, cure, diagnose or prevent any disease.